Today we have this great discounted Carmen Bracelet! 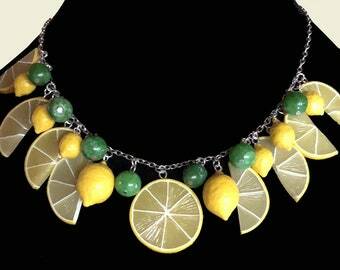 Well, from time to time I do make a mistake or two when making my standard jewelry pieces. It could be that I made a grape too large or small or lemon too light or dark and perhaps I made a watermelon and it was just a tad off. None of the fruits used to make this bracelet are ugly or defective, just not perfect. I can be a little OCD when it comes to making my fruits, so I end up with stored bags of these fruits. 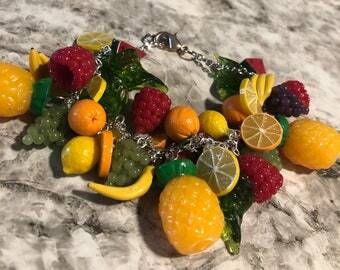 SO, I figured I would offer them as discounted items for people who may want a fruit necklace or bracelet, but can't afford the price tag. 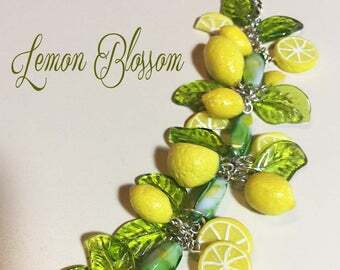 This bracelet is made with a plastic yellow chain, same as the discount necklace that I just listed. 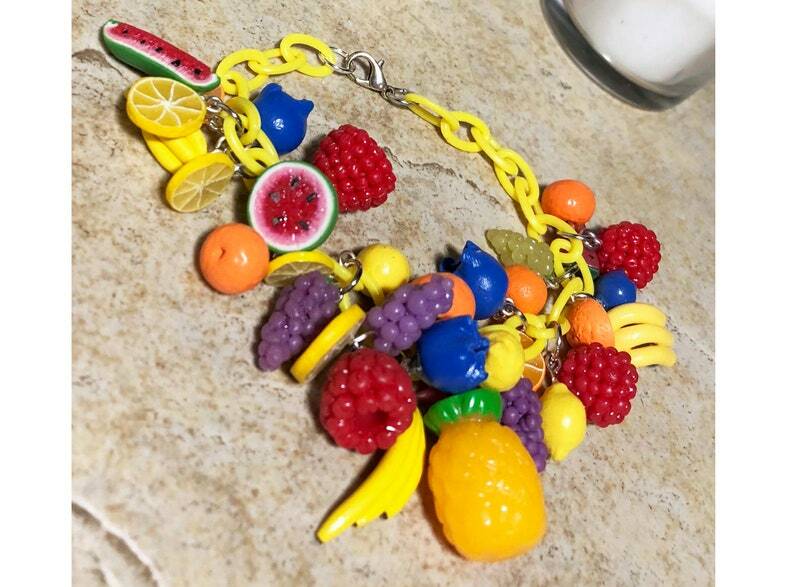 The fruits in the photo provided are the actual fruits that you will receive on your bracelet. As you can see they really aren't bad at all. Thanks for checking out 57Cherry!